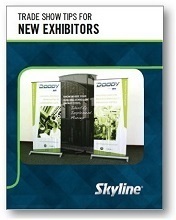 3) Not promoting your presence at trade shows: So you’ve got a great looking booth and you all ready to go. So where is everyone? Why don’t you have any traffic coming into your booth? What have you done to promote your presence at the show? Let your clients and prospects know about your trade show appearances by using an e-newsletter and social media. Plan the launch of a new product/service around a show to create a buzz. Send invites directly to those prospects that you may not have connected with in the past. 5) Not listening to your prospects needs: Don’t be so excited to get your message across and sell your product that you miss out on important info about your clients’ needs. Also, be sure to be aware of body language and pick up any visual cues that may help you understand your clients’ needs even better. Take advantage of everything that a face-to-face interaction has to offer. 9) Not informing your exhibit service partner: Make sure that the service/I&D crews handling the logistics of your booth understand what’s going on with your booth. Get them a lists of shows for the year so that your booth gets from one show to the next, deciding which shows you have time to ship to the advanced warehouse and which events you may have to ship direct to the show. Discuss any unique items such as products in the booth, monitors, height limitations, etc. Mistakes of course are common and learning from them is the key. 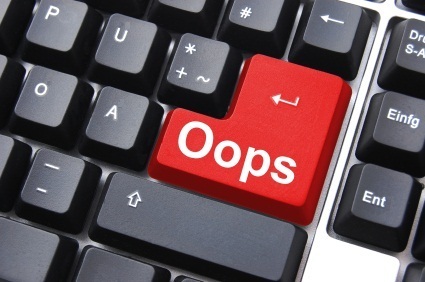 What mistakes have you made as an exhibitor or have you seen that can help your peers?